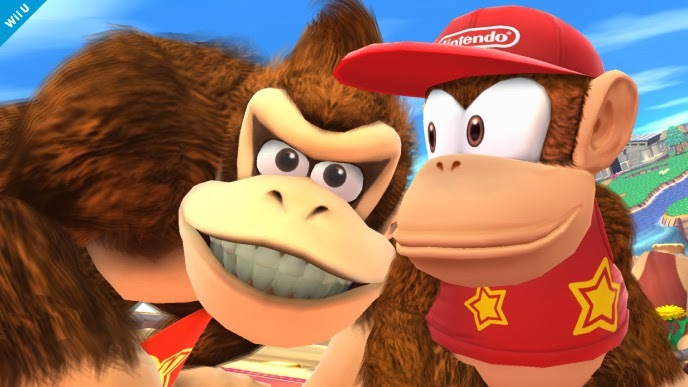 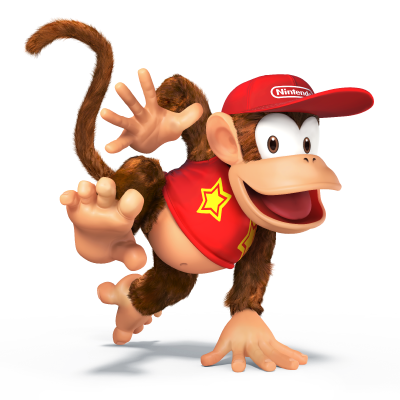 Announced 2/21/2014, celebrating Donkey Kong Country: Tropical Freeze's release in Europe and North America, Diddy Kong, who was first introduced in Super Smash Bros. Brawl joins the battle! 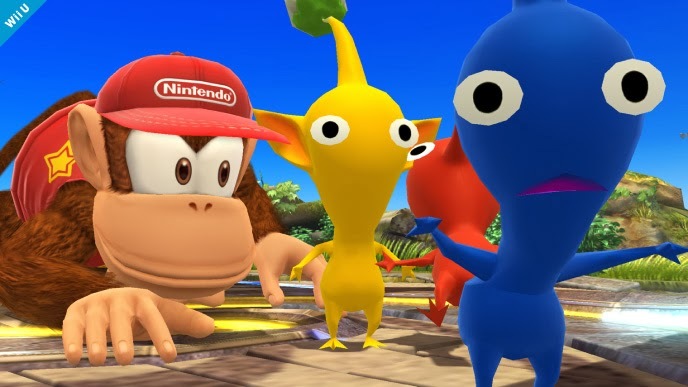 In this screenshot, we see Peach and Bowser checking out the new Fairy Bottle item (from the Legend of Zelda games) on the Super Mario Galaxy stage on Wii U. 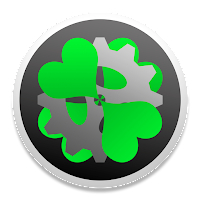 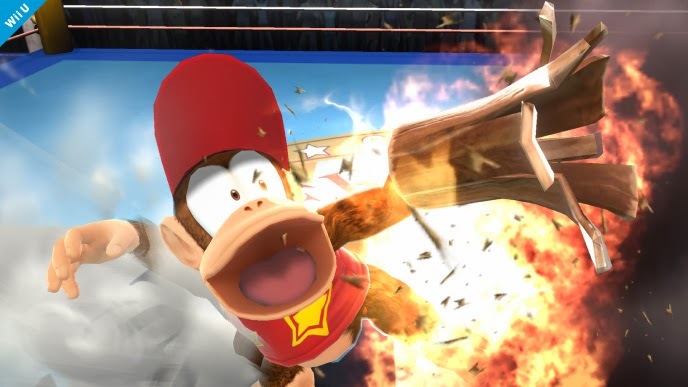 This new item takes away or heals damage and makes you less prone to attacks. 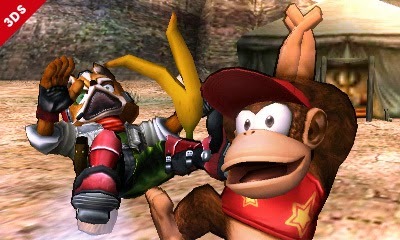 In this screenshot, we see Mega Man and King Dedede in the Nintendogs arena on 3DS. 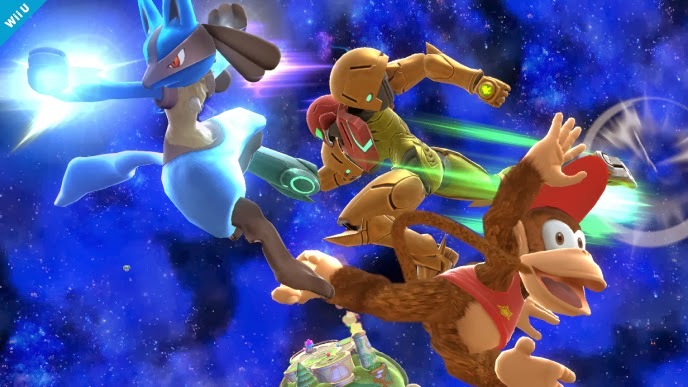 As shown here, the puppy is ginormous compared to the fighters. 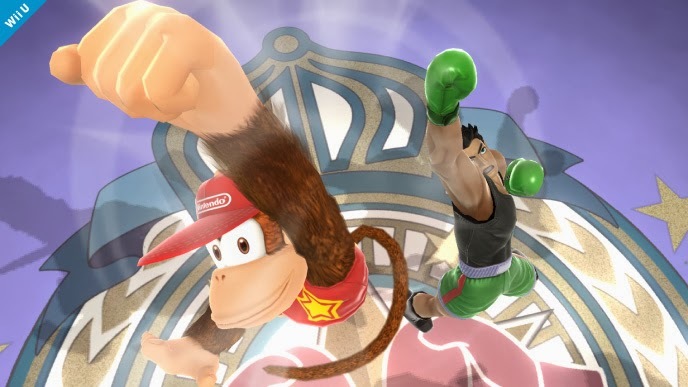 In this screenshot, we see Samus and Little Mac, once again to scale on the Battlefield arena on Wii U. 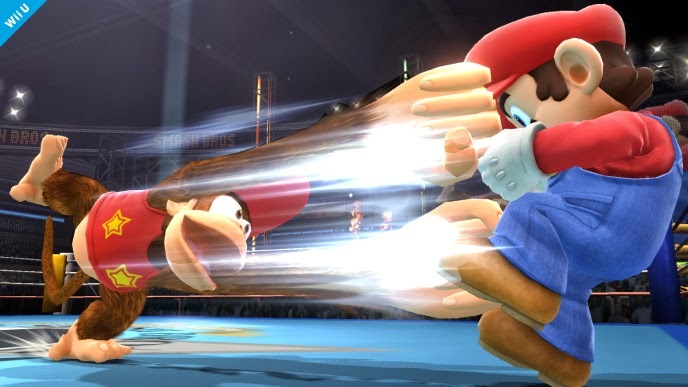 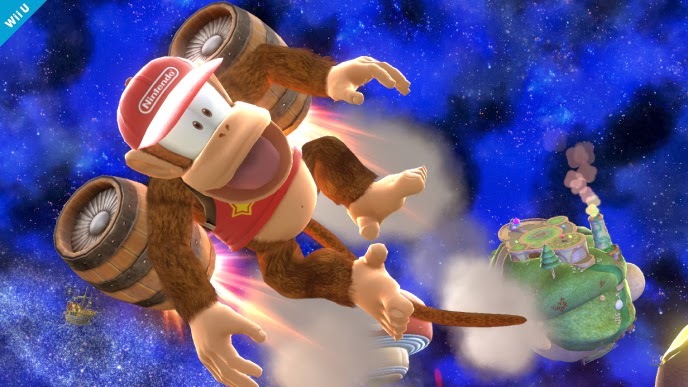 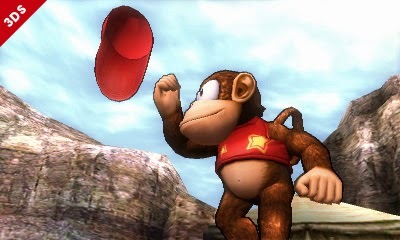 In this screenshot, we see Diddy Kong using his side attack on the Battlefield stage on Wii U.